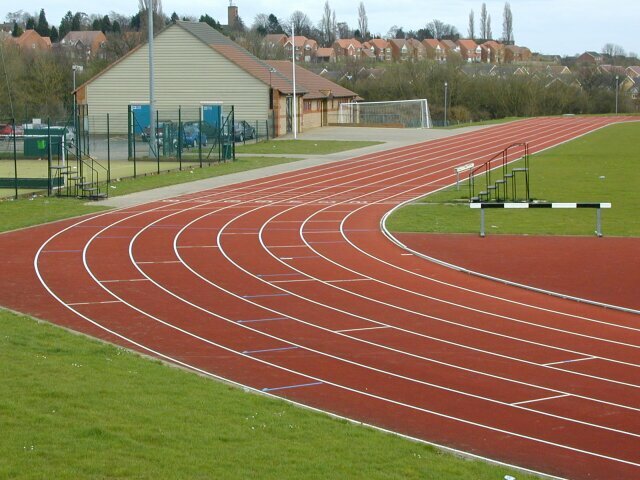 The track was completed in 1992 and has a Spurtan BS surface. The Ernest Boyfield Pavilion at the track was officially opened on 18th September 1993 and includes a club room and tea room as well as full changing facilities. The track is owned by the local council and was originally part of the adjacent Kettering Leisure Village 01536 414141 but this is now privately run and so hence why enquiries about the track should be made to the Kettering Tourist Information Centre.